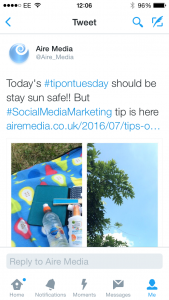 Today’s tip is to create an original hashtag for your marketing campaign. Rather than using a hashtag that is already created, find something new and unique that reflects your brand. And then use it. Use it wherever you can and become a voice. Make yourselves get noticed by being trend setters! This entry was posted in Tips on Tuesday and tagged Hashtags, marketing, profiles, Tips On Tuesday, Twitter on July 26, 2016 by admin. For today’s Tip on Tuesday we’re going to advise on something that can be applied to all your social media channels. I am sure you will have all been followed by accounts on your social media platforms that promise “1000 followers for $10” and other variations. Our advice is simply don’t. You won’t be buying real followers, it will just be a raft of accounts specifically created for this purpose. If you buy a large number of followers, the quality of your audience will be diluted and the impact of your posts will diminish. Never has the old saying “quality over quantity” been more apt. This entry was posted in Tips on Tuesday and tagged customer, Customer service, Facebook, followers, Google+, Instagram, LinkedIn, marketing, Pinterest, profiles, social media, Tips On Tuesday, Twitter, YouTube on July 19, 2016 by admin. A more positive Tip than last week’s today and one that can apply to all your social media marketing (and indeed can be extrapolated to apply to your full marketing plan). 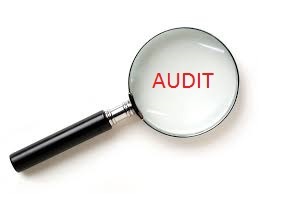 Our Tip on Tuesday today is do a regular audit of your marketing strategy. Don’t be satisfied with simply posting on social media, regularly take the time to find out what works well, what doesn’t work so well and whether any of your posts created problems. In order to keep a fresh and vibrant social media presence you need to ensure your profiles are the best they can be, so do take time once a month to review and reflect and make those changes to keep you ahead of the game. See you next week – and happy reviewing! This entry was posted in Tips on Tuesday and tagged #brand, Audit, Customer service, Facebook, Google+, Instagram, LinkedIn, marketing, Networking, Pinterest, profiles, social media, Tips On Tuesday on July 12, 2016 by admin. 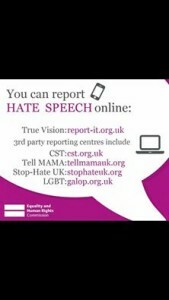 A slight deviation for us today, in that we’re going to talk about online bullying and abuse. Whilst this does fit under our remit for education, it isn’t a usual topic for our Tips on Tuesday segment but it is certainly a topic worth visiting. We wrote a lengthy post on keeping children safe on social media here and we feel the message must be that if you see instances of cyber bullying report it. Report to the relevant social media site the bullying appears on. Bullying Uk have written an excellent piece on Cyber Bullying and you can report instances of online abuse by visiting stopbullying.gov and following their report tool. This entry was posted in Tips on Tuesday and tagged Cyber Bullying, Cyber Stalking, Facebook, followers, Google+, Harrassment, Instagram, LinkedIn, Pinterest, Privacy, Safety, social media, Tips On Tuesday, Twitter on July 5, 2016 by admin.